A chlamydia screening intervention developed by Public Health England (PHE) has been shown to increase general practice screening tests rates by 76% and chlamydia diagnoses by 40% according to new research on sexually transmitted infections. Of the 76 practices involved, those that fully engaged with the intervention doubled their chlamydia testing. 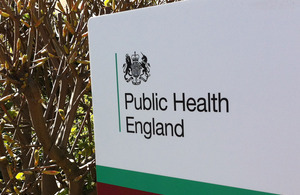 The PHE intervention, designed around the theory of planned behaviour, focused on removing barriers to offering chlamydia testing to young adults. Trialled in the south west of England, the intervention consisted of training workshops, delivered within general practices to develop staff skills and confidence around chlamydia screening, and resources to increase practice awareness, including posters, patient information cards, computer prompts and newsletters. Dr Cliodna McNulty, head of PHE primary care unit, said: "General practice is a natural venue to engage young adults in chlamydia testing, and our intervention shows that providing the right skills and resources can significantly improve screening rates in this setting. In doing so, we can also create opportunities for young adults to discuss good sexual health in an easily accessible and familiar place." Whilst over 60% of young adults in England attend general practices annually and the majority of contraception is prescribed in general practice, only 16% of the 136,000 tests delivered via the National Chlamydia Screening Programme (NCSP) came from this setting in 2012. Reflecting the encouraging findings delivered by this chlamydia screening intervention, PHE is now piloting the ‘3Cs & HIV Programme’ nationally to help improve sexual health provision and testing in general practice. The ‘3Cs & HIV Programme’ builds on the lessons learnt from the trialled intervention to deliver an expanded sexual health intervention in general practices. This will provide practice staff with the expertise and materials to offer chlamydia screening and information on contraception and condoms to young adults in every consultation, and offer HIV screening to all patients in line with national guidelines. Over 70 local authorities have signed up to participate in the programme, with the aim of engaging over 500 practices in England in 2013.